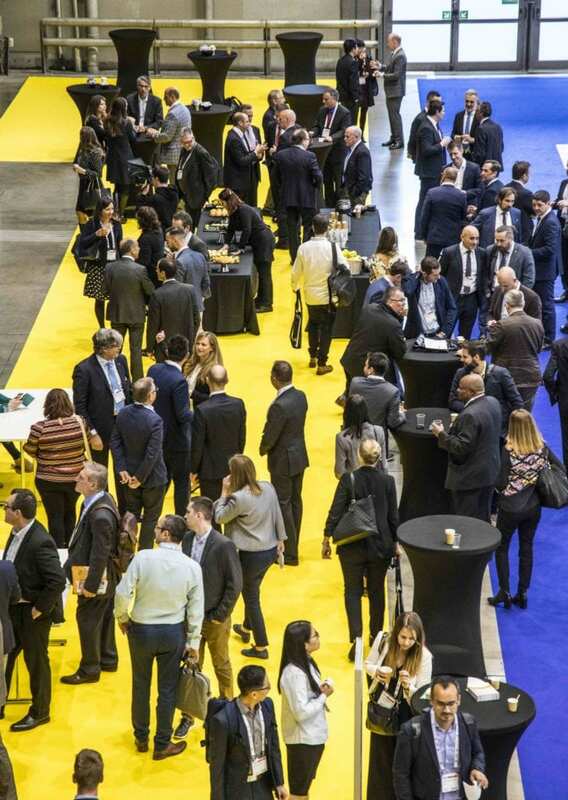 Tissue World Milan 2019 – the world’s largest tissue industry exhibition and conference – opened its doors at Fieramilanocity in Milan this week. The event welcomed over 3,000 trade professionals globally. On the exhibition show floor, more than 200 exhibiting companies showcased the latest and the most diverse range of tissue manufacturing supplies, including raw materials, chemical technologies, packaging equipment, paper making machinery, automation solutions, and many more. Against the backdrop of industry 4.0 revolution and the mounting pressure for business to go all in on sustainability, the three-day conference is held under the overarching theme of “Smart and Sustainable – Strategies to Stay Sharp as a New Decade Dawns”. In line with the conference theme, Magnus Groth, president and chief executive of Essity, delivered the keynote address entitled “Creating today a sustainable business for tomorrow”. Elsewhere at the event, a new section, “The Mill of the Future Zone”, allowed visitors to experience advanced tissue making technologies through the VR headsets. Solutions demonstrated include Stock Preparation from Andritz, Advanced Fire Protection with the Quick Suppression System from Firefly AB, VR application Digital Tissue from Körber Digital, the Virtual Mill from Valmet and Virtual Reality solutions by Voith. The Mill Awards also return for the second time with two award categories: Most Energy-Aware Mill Award and Best Tissue Marketing Strategy Award. Organised in collaboration with Tissue World magazine, Essity and Hayat Kimya were the two companies that emerged as the winners for the Best Tissue Marketing Strategy Award Category this year. The winning campaign ‘Take Back the Lunch Break’ is recognised by the jury for the positive social impact. Aimed at educating and changing social behaviours, the campaign tapped into unspoken truths and fears about lunch breaks. The data demonstrated lunch breaks are beneficial for employee productivity and happiness. Employees taking regular lunch breaks were more likely to be satisfied with their jobs and more likely to report feeling efficient and effective in the office. The campaign received 147.1MM impressions and 81 pieces of coverage, 661 asset downloads and 75,054 link clicks to the campaign landing page. The second winner, Hayat Kimya, captured the interest of the jury with the successful creation of a new product category, detergent wipes. The Familia Tissue Roll with detergent by Hayat Kimya offers consumers the practicality of the tissue paper and the hygiene of the detergent in just one product. Consumers can activate it with water, wipe and clean the desired areas and dispose it. The success of the product has helped increase the TOM awareness of Hayat Kimya brand in paper towel category by five points and the trial score by eight points from Q1 to Q3 2018. The market penetration score of the Familia Tissue Roll with Detergent is almost the triple of the substitute product – cleaning wet wipes. In the category of the Most Energy-Aware Mill Award, Essity Lucca was the winner. Showing a solid track record of energy improvement, Essity Lucca employs 300 people and produces 100,000 tonnes of mother reels and 75,000 tonnes of finished goods, a production that consumes 450.000 MWh. In 2017 and 2018, the plant has reduced energy consumption by 5%, which is the equivalent to the CO2 emissions produced by 1,300 cars that travel an average of 15.000 km. This is on top of 13% energy reduction during the last 10 years. SVECOM – WiFi & Matchmaking App Sponsor. Since the launch of the first Tissue World back in 1993, the event took place in different European cities including Nice, Barcelona, and Milan. 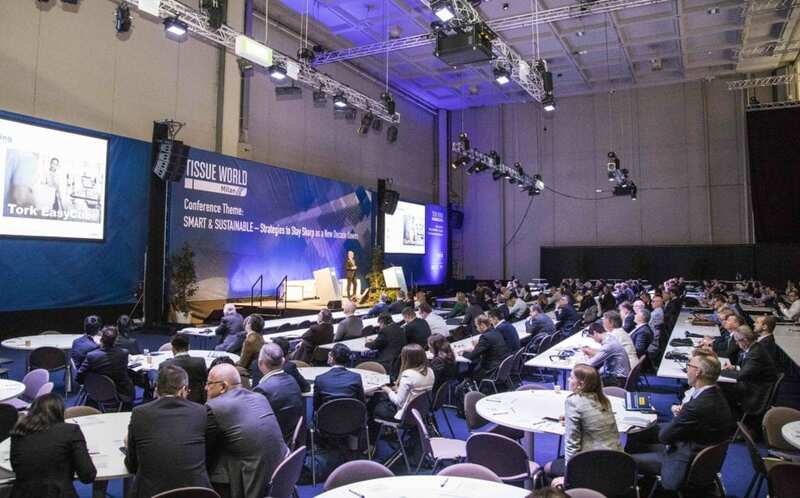 After two editions in Italy, in a great city that graced us with its design, quality and impeccable services, Tissue World keeps its vow to circulate and moves to Düsseldorf, Germany in 2021! Düsseldorf was carefully chosen based on an in-depth market study and survey responses from industry stakeholders and will offer new business opportunities for all industry players. Built on 26 years of history, Tissue World covers the entire tissue value chain, from raw material suppliers, finished product manufacturers, jumbo roll suppliers, converters, traders to paper machinery makers, packaging equipment suppliers and many more. Tissue World trade shows and conferences currently take place across five cities: Milan, São Paulo, Miami, Bangkok and Istanbul. Tissue World also publishes Tissue World magazine, the leading independent news provider for the global tissue business. Share the post "Tissue World Milan 2019 opens its doors; Tissue World 2021 moves to Düsseldorf, Germany"